I got mentioned in an events post! Woo. I heart the fun I had as Wildgraf, and how well things have gone on Bathan compared to Keijima or Anarion. I heart these past few days in Imperian. Being directly involved with the events, getting a lot of combat in, and now taking over as Wildgraf. I know my timing was bad for some parts, but I was able to be there at the end. I heart how real @Jeremy has been since his return. The way he speaks to the players on the forums and announce posts is less "IRE Robotic" and more "Hey guys I'm a player, but I run this thing too! What up holmes, and Khizan stop sending me bombs!" I don't know, just makes me feel like he listens and understands. Sort of like, "You guys think this? I'll throw this out there to test it, and see what comes of it." instead of, I don't know "IRE says this, so I'll come up with an excuse to say no and not even mention the player thoughts to IRE"
Keep rocking out Jeremy, the shift in the game has been awesome since your return. Jeremy's just a troll given control of a game. Look at the event for example. Elaborate trolling. Despite hating the event, I heart the finale. It was a good fight and well fought by both sides. I all the compliments I got about my ability to be a "City leader" or on the "city council" I always feel like everyone hates what I do, but when I stepped down from Mukhtar I got a lot of tells and messages. I'm not sure if they were just being nice or not, but it still made me feel good. This hours long argument about the Horde and how Kinsarmar is like the Nazis. Especially comparing Kinsarmar to the Nazis. Thanks Abigail for dealing with us. Since then, Imperian's been hipper, more badass and full of life. You are wielding a shimmering amethyst claymore in your hands. malachite needle, 912 tower shield shaped vials, 7 linseeds. 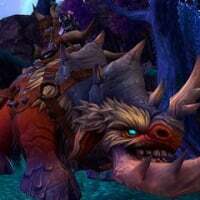 You have 53 types of items in the Rift. You possess 974 items and are carrying no gold. I heart how clean that inventory looks now. why do you have 900+ vials? More vials means more elixirs which in turn means you have to refill less. Same reason I got like 20 pipes! Just get the token ones, problem solved. No lighting, no refilling. No running out of laurel, lovage, linseed. You are wielding a truesilver shield in your left hand and a runic elemental staff in your right hand. a Deathglory orb, a spyglass, a worry stone, a set of harmonious crystalline chimes, a shimmering orb, a finely-crafted dreamcatcher, a shimmering lattice, a lantern, a key, 5 flame-shaped sigils, 2 monolith sigils, a Customization token, 300 silver vials, 30 silver pipes, 3 silver tinderboxes. a bag of stasis, a dark leather shoulder scabbard, a glass bubble, a silver barbell earring, a simple silver necklace, a necklace of purity, an interlaced trinket, a brooch of Thanatos, 4 thin silver rings, a toxic ring of pestilence, a flowing silk magicians shirt, a pair of black feminine trousers, fingerless Mage gloves, dark leather boots, an eldritch robe. You have 45 types of items in the Rift. You possess 370 items and are carrying no gold. Xolde, 5 corpses of a giant tarantula. I'm not. I don't even know where half these things come from-- And I'm pretty sure I have a couple useless artifacts jumbled in there somewhere that I pull and forget about. Looking at your inventory makes me want to post in I HATE. 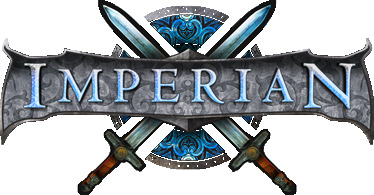 That no matter how much I try and how long I seemingly go away, I always end up playing Imperian again. @Gurn you need a keyring. Also the fact that you have 5 shovels and 17 buckets amuses me. Artifact shovels are the way forward. I put out forest fires. Like some mystical bear. @Jorachim Only you can prevent wild fires. Magick is for the weak. Also, that takes balance. Dousing doesn't. Which is only a problem if you don't have a million buckets.